Premier ocean front lot is yours for the taking. Bring your preferred custom home builder and create your own ocean front oasis in one of St. Augustine's most beautiful and unspoiled strips of beach. With the perfect balance of pursuit and happiness, watch the morning sun rise up over the Atlantic Ocean and take in the sunsets with potential views of both the Intracoastal and the Matanzas Inlet. Enjoy coastal living the way it was always meant to be. This is how you Out-Of-Office. This is how you ''Press-Pause.'' 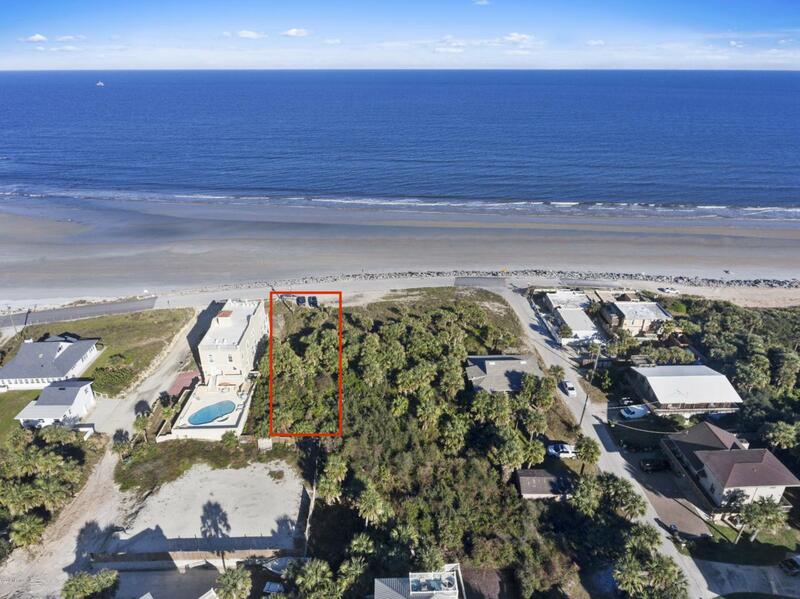 This is one of the lowest priced ocean front lots left in St. Augustine and has amazing potential.Find your spectacular. Discover a destination tailored to you. Where luxury is done in your terms. Follow the breeze and let your heart lead the way. This is your spectacular. Now is the time to capitalize as land like this is becoming more and more scarce.